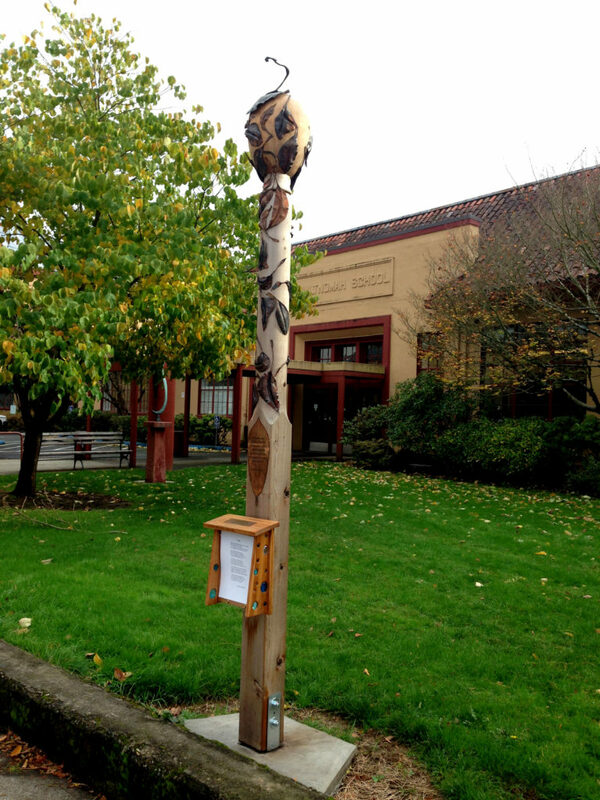 The Multnomah Arts Center offers a variety of writing classes for adults and youth year-round. Our program consists of a variety of genres and topics, allowing students to build skills as they create a body of work. 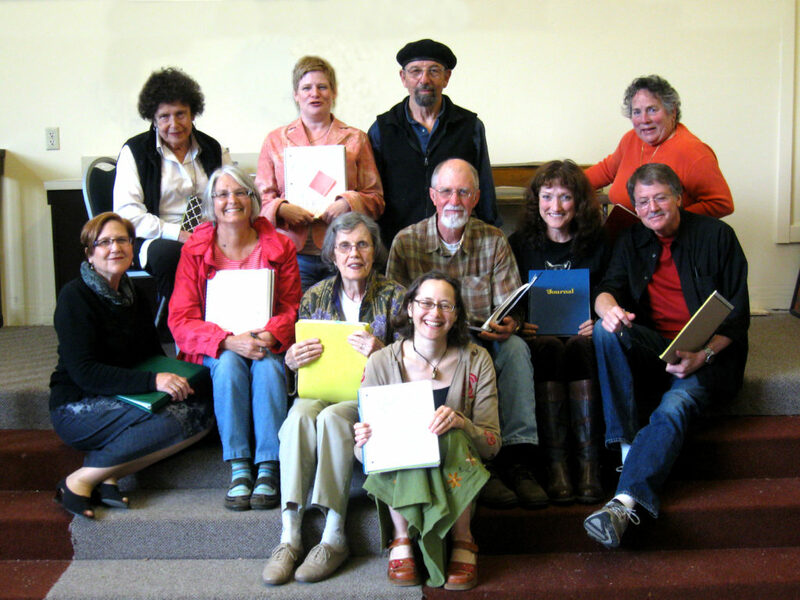 Students take one-day workshops or ten-week classes to explore their written voice. Tri-quarterly public readings of student and faculty work bring our community together to celebrate the written word. Anyone can write memoir. We all have stories-young and old, rich and poor, famous and not so. Participants will use prompts and other exercises to trigger and unlock their memories in order to zero in on those moments that are both rich and significant. Draw inspiration and craft secrets from other authors and address and put aside the inner critic, so that you may engage your creative process in a safe and encouraging environment. Do you have a story to tell? Have you dreamt up characters who you want to know more about? Do you want to use your imagination to create fictional worlds? Whether you have great ideas for stories but no idea how to start, or drafts of stories that don’t feel quite finished, this class is for you. Together we’ll explore how character, language, and narrative structure work in each other’s writing as well as in published works. The blank page’s potential can intimidate some writers into silence. Bring an empty notebook and be guided through the writing process from its messiest beginnings to a completed story. This genre includes memoir, essay, narrative journalism, interviews, and all other true stories. Poetry as a means of expression, exploration, and experience is available to everyone. Take time in class to write poems in response to prompts, prompts, and more prompts, leaning into your imagination and following the impulses of your right-brain. Read and respond to one another’s work in this supportive setting, suggesting and sharing revisions. 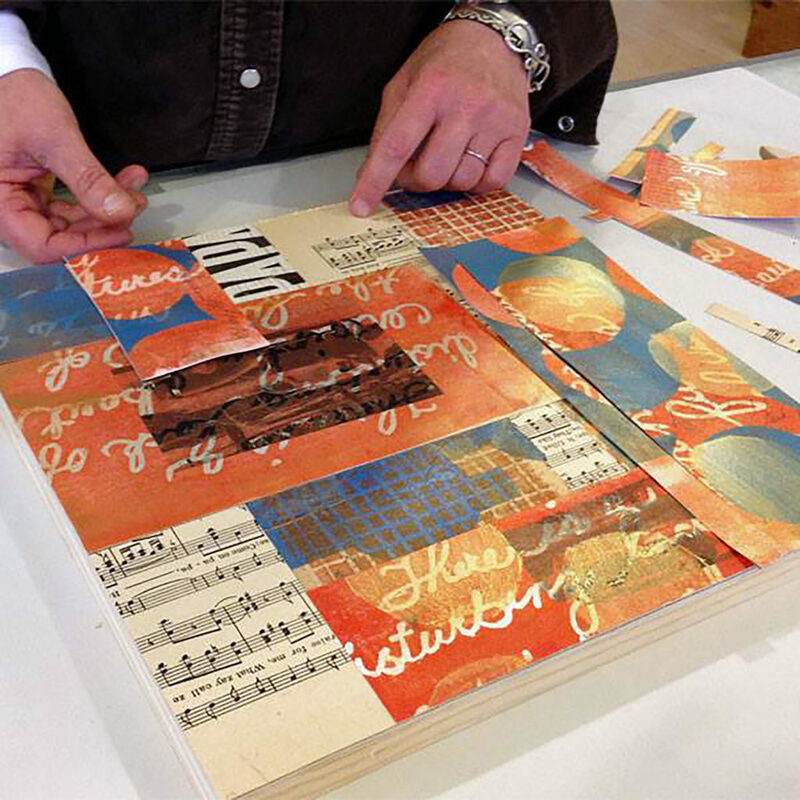 The Literary Arts Post was a collaboration with artists: Jerry Harris, woodwork; Greg Wilbur, metalworks; Christine Colasurdo, calligraphy; Nicole Rawlins, copper etching; and Tracy Wolf-Paquin, glass. 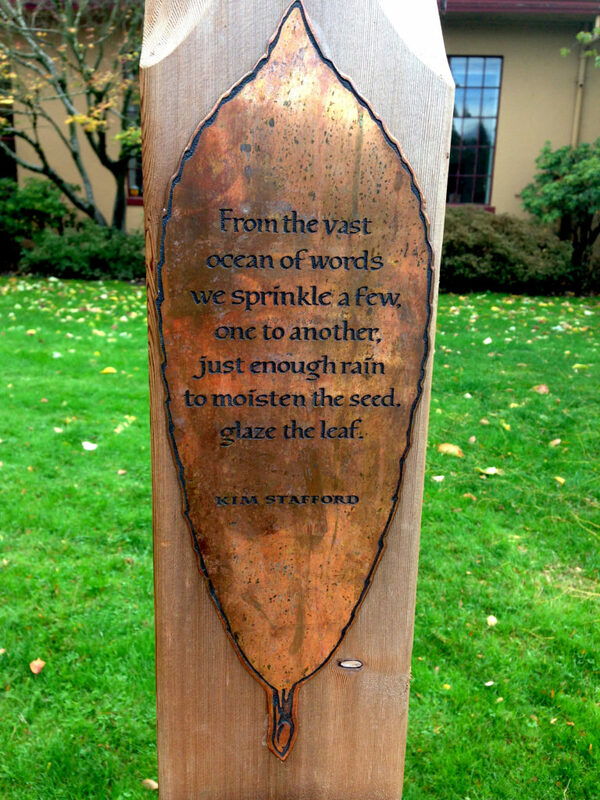 Poet Kim Stafford contributed the inscription. 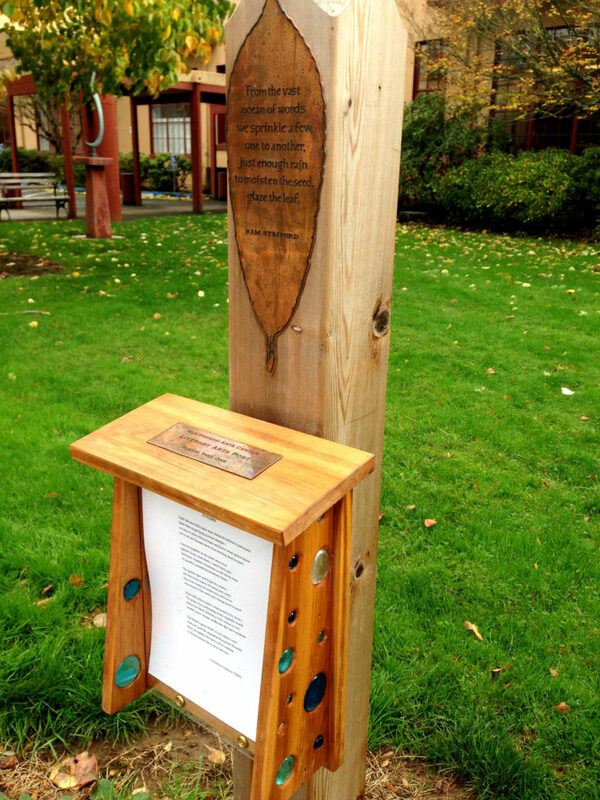 Thanks to everyone, including the Multnomah Arts Center Association, for this wonderful addition to our community. 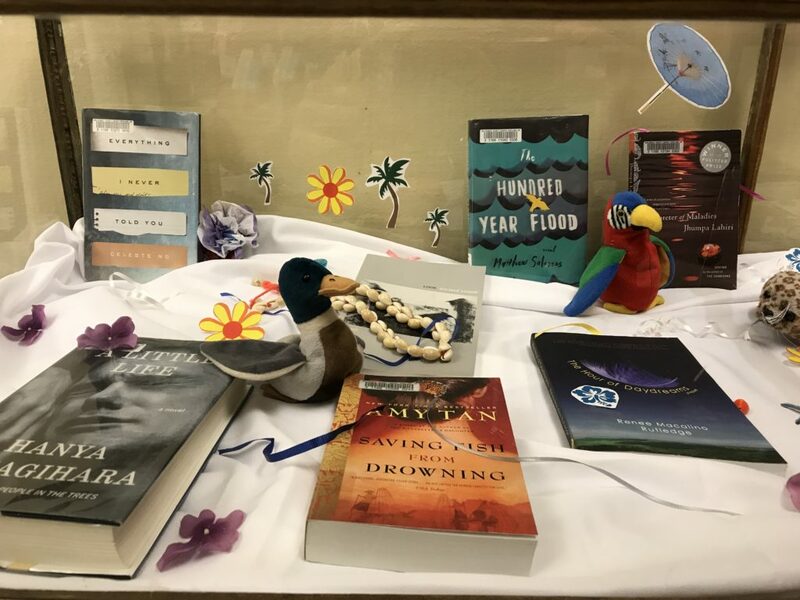 Visit the Literary Arts Pole periodically to be inspired by new works from MAC faculty, students, and community members.